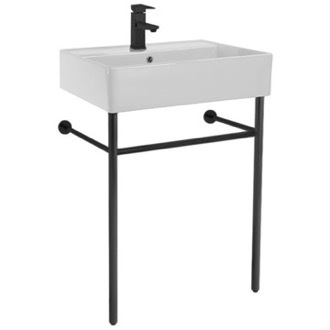 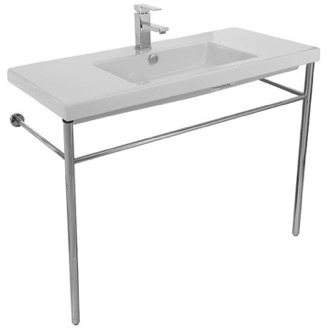 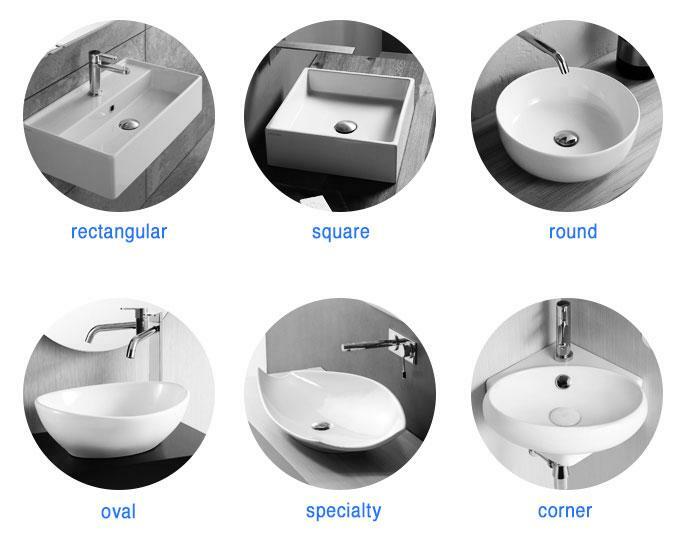 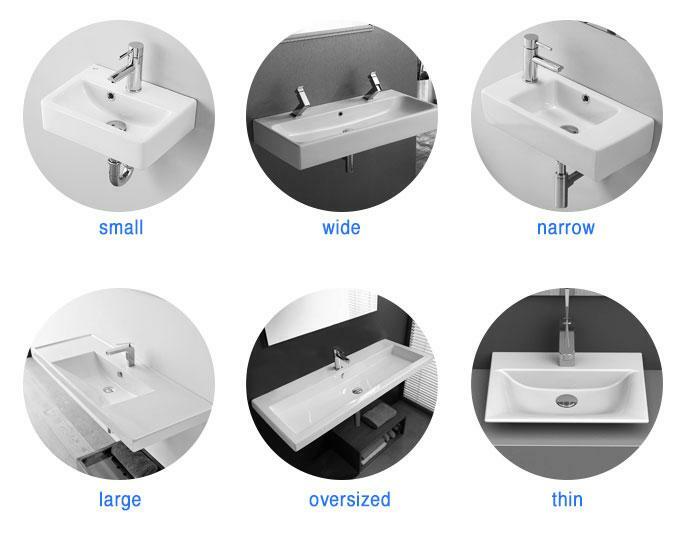 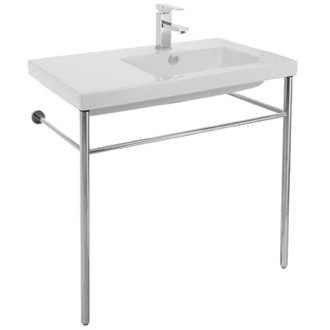 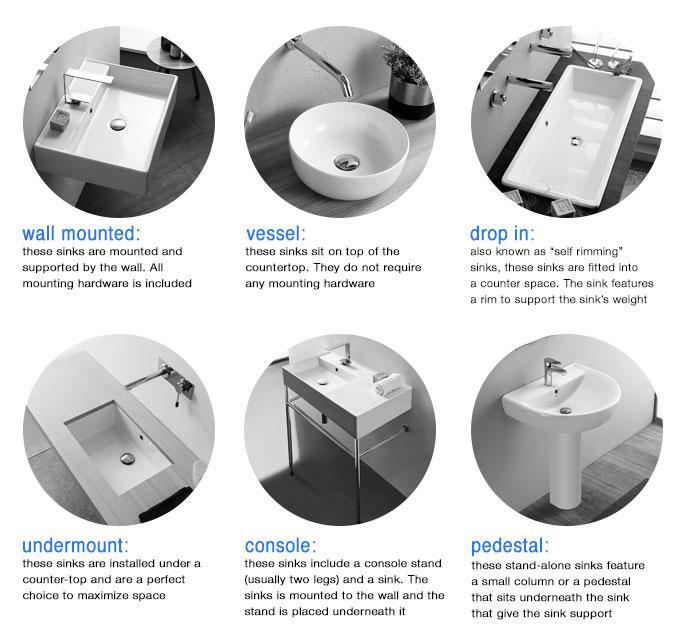 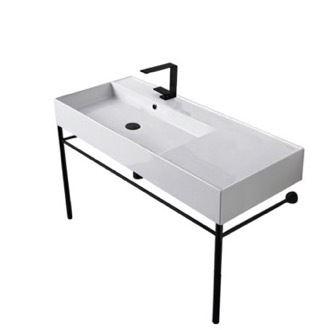 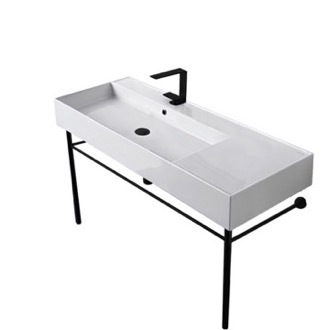 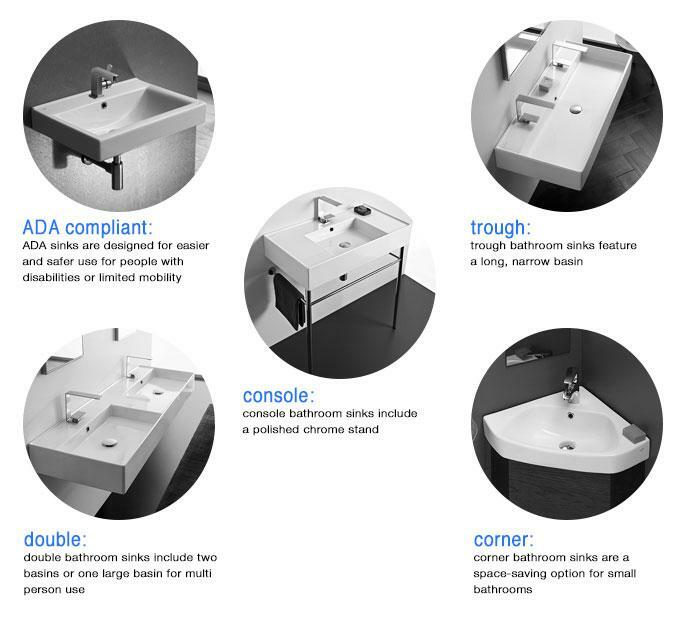 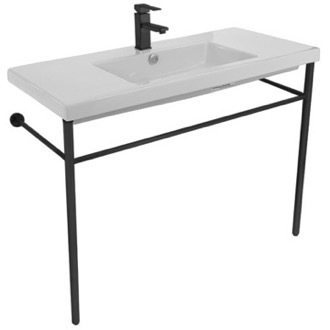 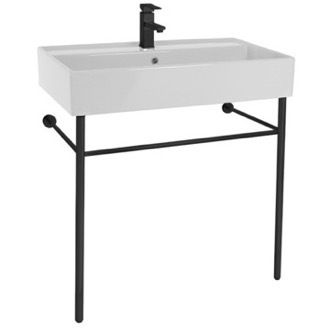 Shop our selection of console bathroom sinks and get FREE shipping on all orders over $99! 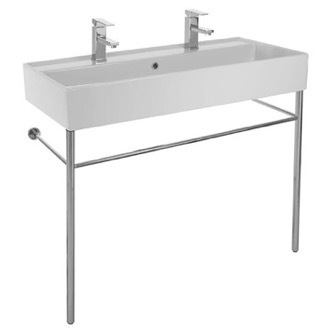 Console bathroom sinks marry the old and the new; they have a similar look to wall-mounted sinks, but instead of floating, they have two leg supports. 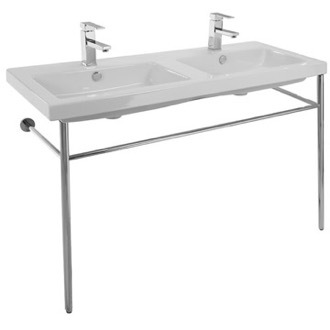 Console sinks were originally popular in the 18th century, but today's designs are far from Victorian. 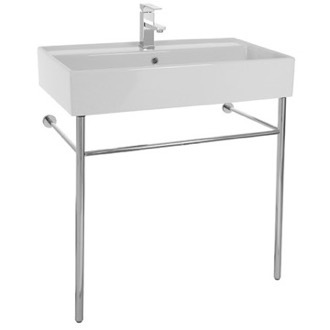 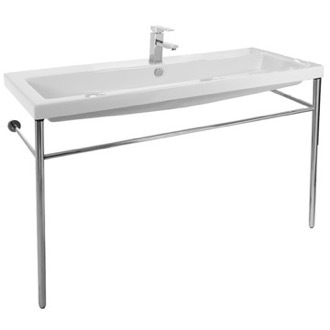 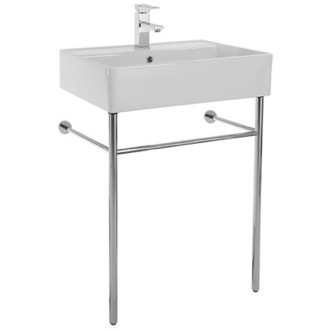 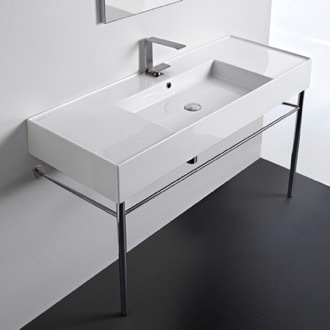 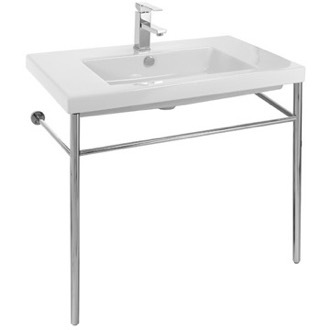 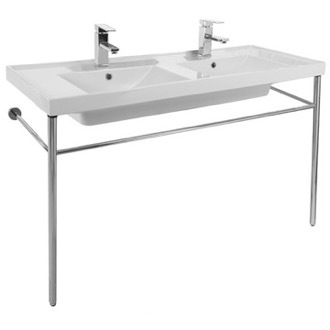 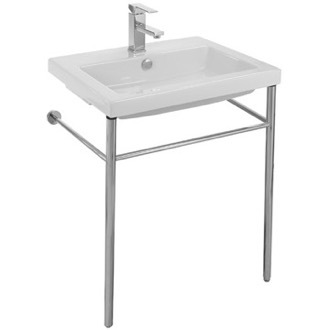 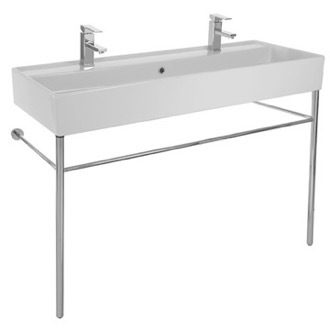 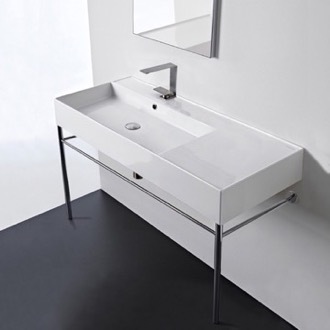 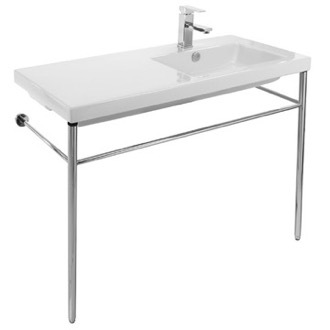 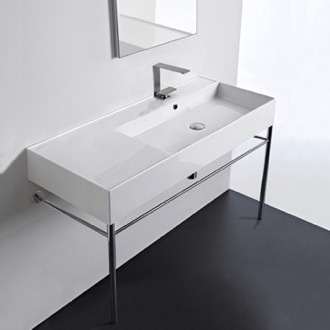 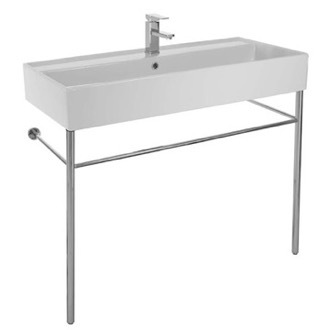 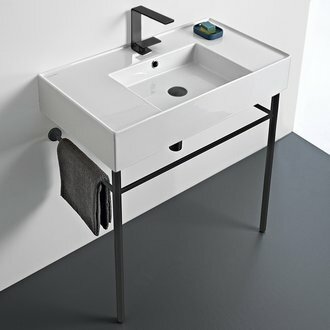 One particular benefit of a modern console sink is bonus counterspace or built-in towel racks. 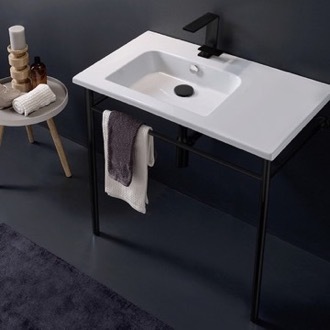 When you want a clean profile but are looking for a bit more countertop space than a typical floating sink, a console bathroom sink may be an ideal alternative. 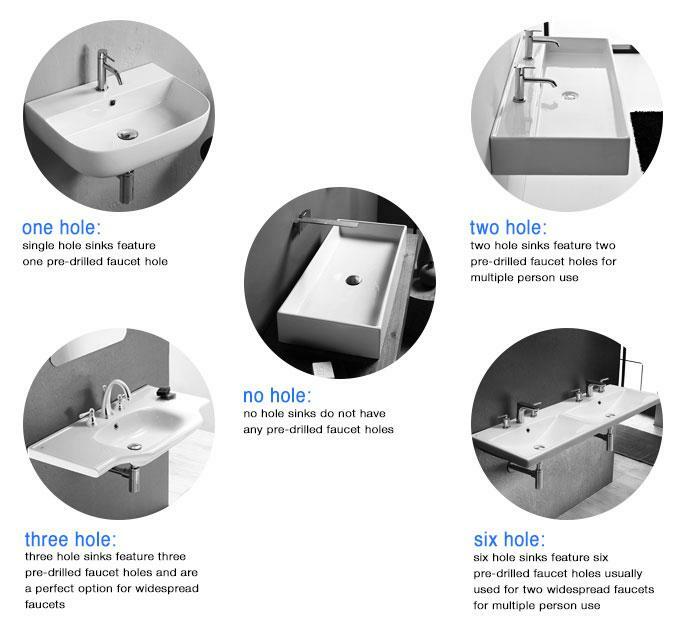 More shopping tips Console bathroom sinks are gaining ground in bathroom design. 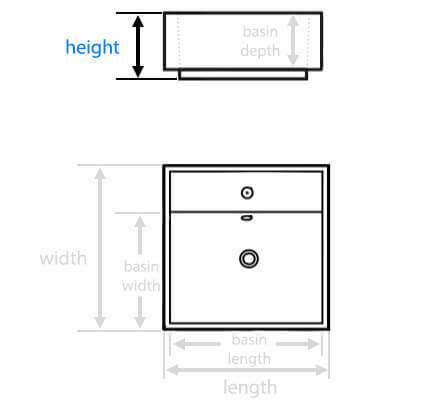 They lend a fun, vintage feel while leaving floorplans feeling open and airy. 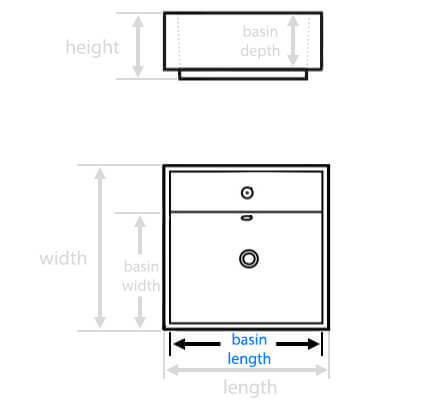 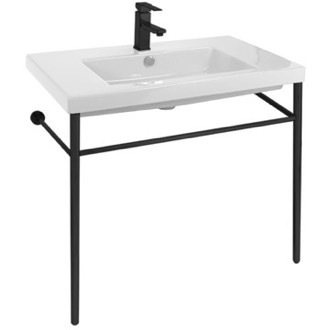 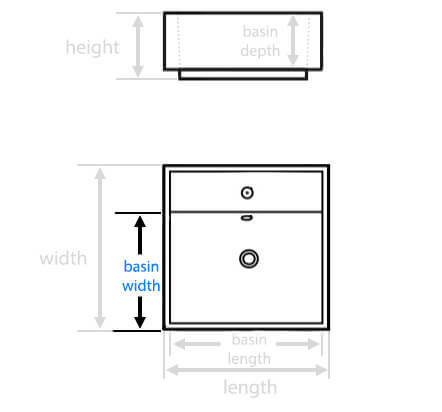 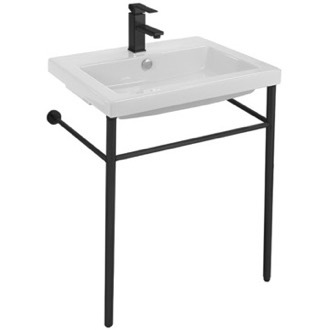 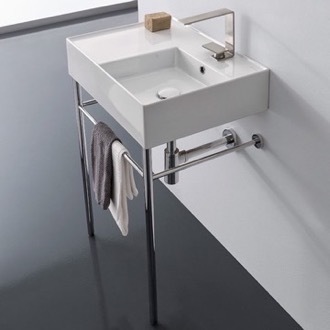 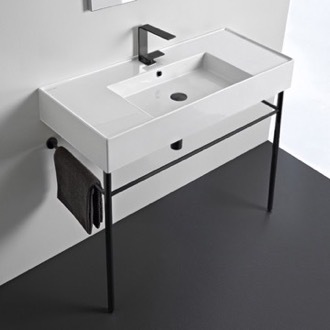 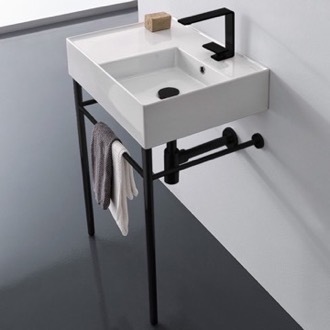 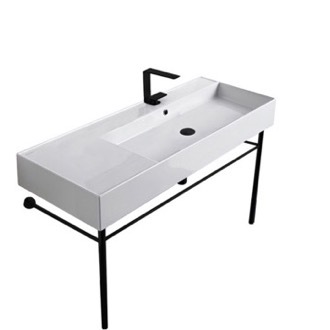 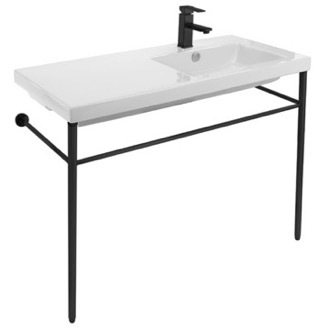 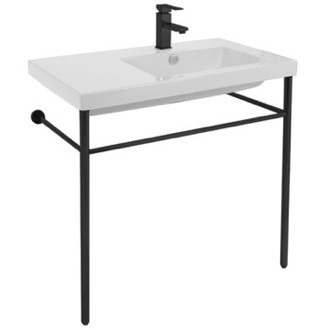 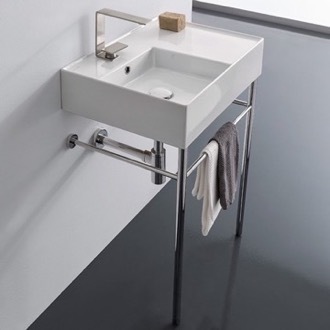 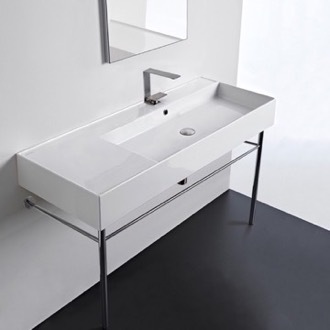 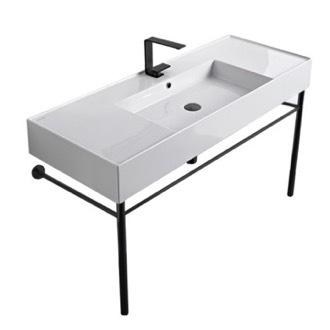 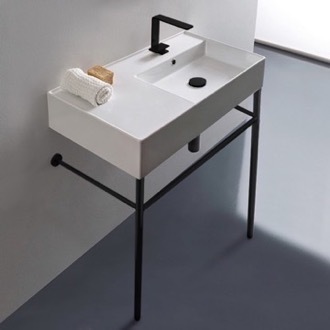 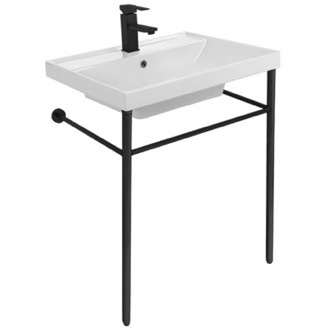 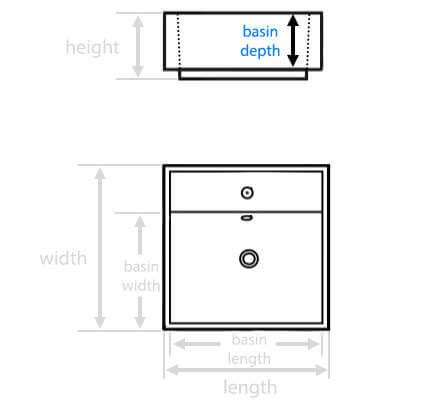 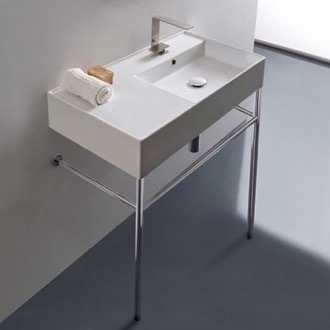 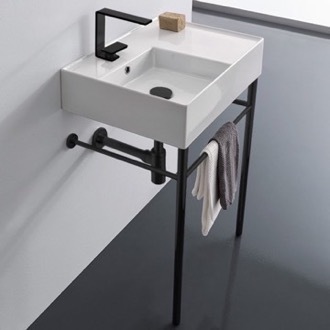 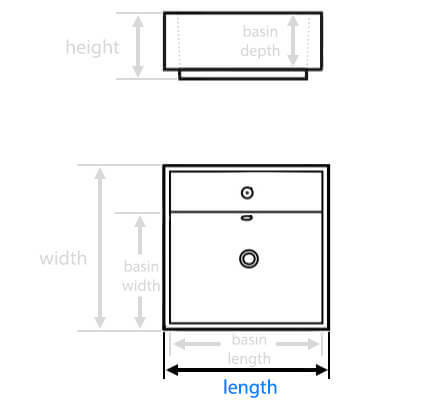 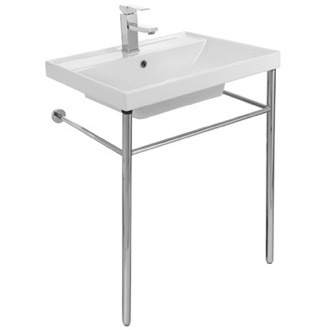 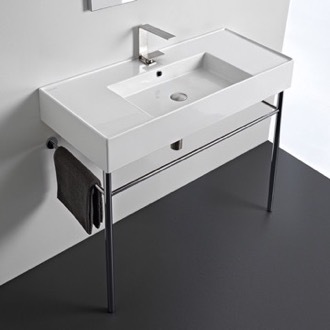 A console sink might first remind you of a wall mounted sink, but instead of being suspended in the air, you'll find two legs supporting the front of the sink. 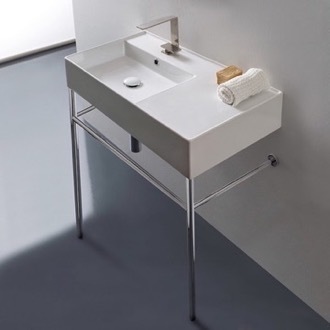 These legs can be made from a variety of materials, including wood, stainless steel, and brass. 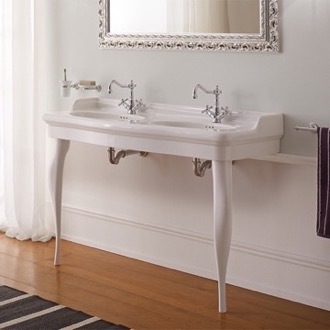 You can choose from Victorian-inspired models to rustic designs to modern console bathroom sinks. 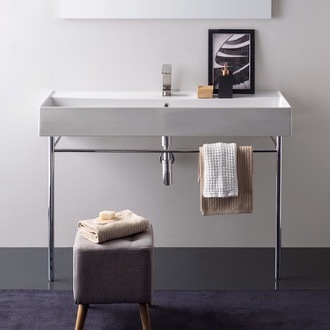 If you love the look but are concerned about storage, be sure to choose one with an included towel rack bar and plenty of counterspace. 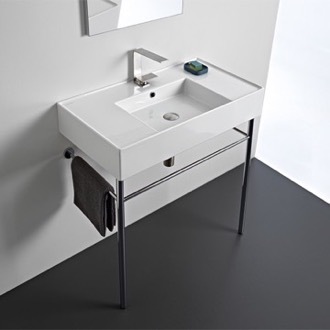 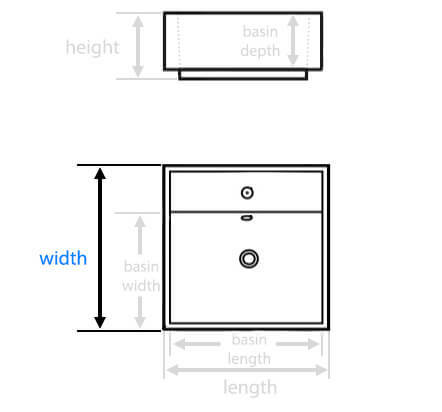 There are also designs that include a lower shelf but this can take away from the true console sink design. 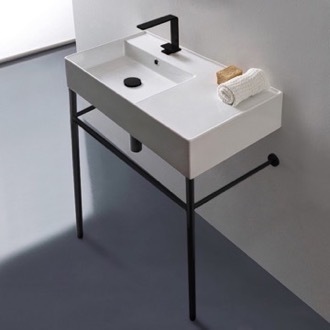 Whichever you choose, you're sure to love how a console sink leaves you feeling like you have room to breathe without compromising on warmth and style.